The first impression your business makes on customers is vital. The customer evaluation process starts long before a customer sets foot inside your company. You need to present customers with a lobby that fulfills the promises made by your storefront and your exterior signage. Metal Lobby Signs – Aluminum, Bronze, Copper, Brass, Stainless Steel, and more. Brushed or polished finish. Backlit Lobby Signs – using energy-efficient LED lighting. Acrylic Lobby Signs – An etched glass look achieved in colored or clear acrylic. Wood Lobby Signs – Signs in attractive wood finished with plain, live, or beveled edges and lettering in metal, vinyl, or acrylic. Cut Vinyl Lobby Signs – Highly affordable and infinitely customizable with full-color graphics. Foam Lobby Signs – Foam finished with metal or acrylic to produce impressive three-dimensional effects. We handle not just the design and fabrication of lobby signs but also their installation. We also provide all of the premium hardware necessary to create a permanent and secure sign mounting. Call Genesis Signs & Graphics today at (347) 709-7446 for a Free Consultation with a Lobby Sign Specialist! It’s essential to cultivate a distinctive brand as part of your business’s identity. Utilizing a consistent brand in all of your signage and marketing materials conveys a potent message to your customers and encourages them to view your organization as a highly professional one. 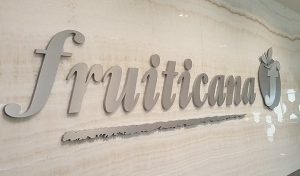 Installing a logo sign in your lobby is a sure-fire way to impress guests and clients while expanding your brand message. We have a vast range of customization options for creating lobby logo signs, and we’d be happy to create a unique sign for your business. Beyond logo signs, we’re also able to offer you a cohesive signage collection to meet all of your graphics needs. This includes storefront signs, window graphics, displays, vehicle wraps, ADA signs, internal wayfinding signs, and more. 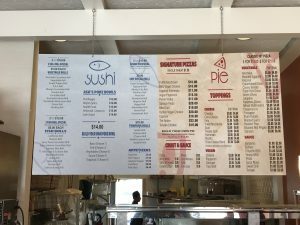 Trust our design staff to build up a unique, attractive, and cohesive language that spreads the same style, colors, logo, fonts, and brand across all of your signs. Consistent signage impresses upon your visitors the fact that your organization is professional and attentive to detail – an impression that can be persuasive in securing new business! Genesis Signs & Graphics is dedicated to delivering top-notch services, products, and support for all of our customers. We want to be your long-term signage partner, and we’re prepared to work hard meeting all of your signage needs.